It’s becoming more and more common to go sober. With health food becoming increasingly more popular, alcohol is starting to look like a pretty bad idea. 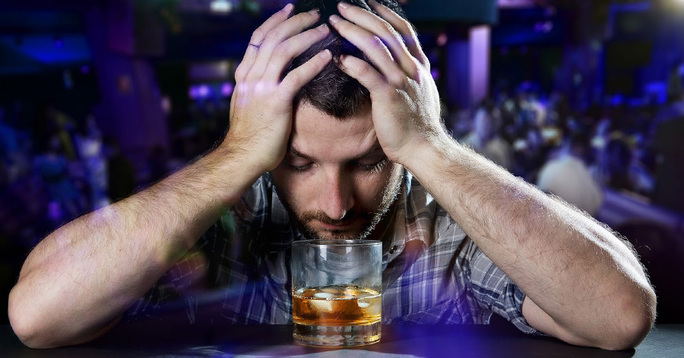 Not only is alcohol incredibly dehydrating, it is a toxin that can seriously hinder your liver overtime. You know that splitting headache you get when you’re hungover? It’s actually your brain pulling away from your skull because you are so dehydrated. Sure, it’s fun as hell to get smashed every now and then, but drinking too much over time will age you fast and slow down your detoxification pathways. If you’ve been thinking about cutting back or entirely cutting out alcohol, it’s not going to be easy and you know it. People might judge you and let’s face it, you’re just not as fun when you don’t have a beer in your hand. Here are some tips to quit alcohol and never look back. If your friend asks you why you aren’t drinking, try not to see it as an attack. Respond with a joke and poke fun at yourself for being such a “square”. Show them that you already know you’re a huge nerd for giving up alcohol. If you see it as no big deal everyone will leave you alone about it. It should at least seem like you’ve already made peace with your decision. If you seem a little unsure about it or are regretting it, your friends will sense that and try to pull you over to the dark side. Stay light hearted about it and your friends will follow suit. If someone asks you about it, then yes you can let them know you’re not drinking tonight. However, the last thing you want to do is to make everyone else feel lesser than because they’re having a few brews. Don’t voluntarily start telling everyone you’re not drinking, just say “no thanks” if they offer you something and continue on with your business. There’s nothing wrong with being proud of going sober for the night, but just understand that if you talk about it too much, it will sound a bit too “preachy” and may turn people off. Ordering a soda water at a bar is like the national symbol for “I’m not drinking tonight” and it’s honestly a little depressing. No one is excited to be drinking soda water. When you order your non-alcoholic drink, why not order something that you will actually be excited to consume? Order juice or a cola. If you’re concerned about the sugar content, go for the juice. Even though it says it has sugar on the label, it’s worlds apart from the high fructose corn syrup in coke. Most bars have things like grapefruit and pineapple juice in stock. If you don’t want to drop the bomb on your friends that you’re not drinking, then have just one drink. You don’t even have to finish the whole thing and then when you go back to the bar to grab another, get something non alcoholic. This way your friends won’t get awkward on you and they also won’t pressure you to drink when you technically already are. You’re also kind of tricking yourself into being comfortable with your decision to not drink. Use your own judgement on this. If you know your friends will give you a hard time about it, there’s no harm in just keeping it to yourself and have at least one drink so they will stop bothering you about it. You have probably never noticed this before…but people can be so annoying when they’re drunk. I don’t mean 2-3 drinks, I mean more like 10. 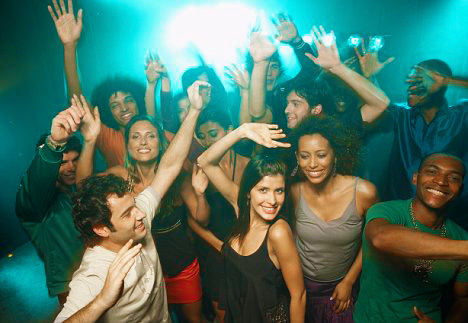 When your friends are sloshed, they are going to be loud, obnoxious and clumsy. Try not to let it bother you, instead, just follow suit. Match them at their level of “fun” and you won’t be sitting in the corner feeling bitter that your friends are having fun and you’re not. It’s funny how when you’re drunk you feel like you have an endless supply of energy. You could run a marathon if you wanted to. Although it’s not giving you real energy, you will without a doubt start to get tired before your friends. How do you mimic that same amount of energy to make sure you don’t start drifting off by midnight? The bean’s the word. Coffee boosts your mood and gives you a surge of energy. You will be paling around with your friends until the sun comes up if you get some caffeine in you. If you say that you’re not drinking because you just don’t want to, prepare for a backlash. There are many excuses you can use and the thing about these “excuses” is that they’re actually very legit. You could say things like “I’m gonna workout tomorrow morning” or “I’m cutting back on sugar”. If you relate it to health people will tend to be understanding and will just leave it at that. Often times if you say “I’m just trying to cut down on alcohol”. That’s usually enough. Just remember there will always be that one annoying friend who will literally shove drinks in your hand. Stay strong! People will end up admiring you for it. You don’t want people noticing you aren’t having a good time because of your lack of alcohol. It’s easier said than done but…be fun. Try not to “look down” on the people around you becoming increasingly more drunk. It can be pretty isolating when everyone looks like they’re under some weird spell. If you were an extra in a movie and had to act drunk for a scene, how would you do it? Try assuming you are just as drunk as everyone else. That might be a good enough excuse to let go.